A show-stopping collection of stunning food and drink that really shouts celebration! With a Prosecco, wine as well as a generous selection of artisan goodies, your recipients really will be blown away by this hamper. 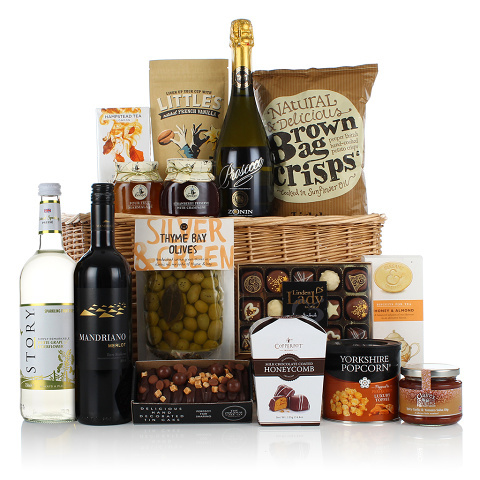 Beautiful presented in an open-top willow storage basket, this is the perfect hamper choice for any celebratory event.